Exotic seeds were largely discovered by ancient populations in South America. These seeds are a perfect addition to your psychoactive garden. We also provide a number of seeds that you can consume directly, such as Morning Glory, Yopo, Peganum harmala and Baby Hawaiian Woodrose. The effects of psychedelic seeds are hallucinations, an influence over your consciousness. 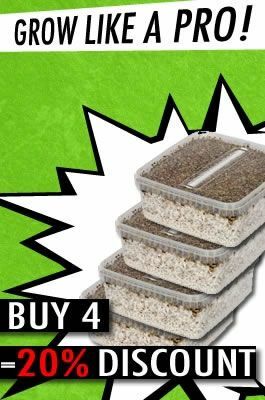 The psychedelics seeds that you can order at Avalon Magic Plants can be grown and consumed directly at home. Do you want to know how the growing and usage processes work? Read on! Nepeta cataria 20 seeds " Catmint "
These seeds originally come from plants, such as trees, shrubs, and flowers. By ordering at our smart shop, you can grow your own psychedelic plants! It’s a great idea, because then you won’t have to constantly purchase new seeds. The growing process is different for each type. When you receive an order at home, we will always provide you with instructions. This allows you to take your time and thoroughly read how the plant is grown. You can always look for tips on the internet, too, so that you are fully informed. Psychedelic seeds have a variety of effects on the body. Seeds that contain LSA, such as the popular Morning Glory, create hallucinations. Valerian seeds on the other hand, are well suited to stressful situations, because it relaxes you and helps you fall asleep. Ask yourself beforehand what you are going to use the seeds for and investigate the effects. Are you looking to avoid extreme trips? If so, choose a seed that is relaxing or use a very small amount of a seed like Morning Glory. The chance of a bad trip will be reduced considerably. For an enhanced effect, you can combine some seeds with others. Review the products in our smart shop to see which seeds or items go well together. Most effects from exotic, psychedelic seeds are positive, but be aware of the amount that you use. Otherwise, you may end up having a very bad trip. It is extremely important that you never use these seeds in conjunction with medications or alcohol. Furthermore, we advise against driving after using psychedelic seeds. In short, always read through the user instructions, so that you can enjoy the seeds in the best way possible without having to deal with annoying side effects. If you have any questions about using or growing exotic seeds, you can always contact us.